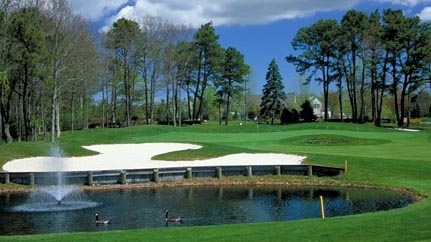 Willowbend Golf Club is regarded as one of Cape Cod’s most prestigious and complete private communities. It features an award-winning golf course, world-class tennis courts, Olympic-sized pool, state-of-the-art fitness facility and spa and gourmet dining. The golf course at Willowbend Golf Club comprises three nines and creates five different 18-hole routings. The site of many high-level competitions among pros and amateurs, the Willowbend golf course was laid out by Dr. Michael Hurdzan, with a third nine by Bruce Besse, Jr. Send me more information about Willowbend! The Willowbend golf course features three nines & five routings. Members gather in a 46,000-sf clubhouse for gourmet dining or lunch and conversation in the Grille Room. Clad in a Cape Cod-style elegance, the clubhouse is a popular social center with its covered outdoor patio, special function rooms and top-drawer locker rooms. Send me more information about Willowbend! Swim in style at Willowbend pool, part of the 46,000 sf clubhouse. Willowbend Golf Club has exceptional amenities and one of its brightes stars is the culinary program, created by Executive Chef Paul Cunningham. His impressive background includes the executive chef position at Bice in Washington, DC and executive sous chef at Le Cirque and La Cote Basque in New York City. Sample home and landscaping at Willowbend Golf Club. Real estate at Willowbend Golf Club includes homes, townhome, condos and lots–all available with views of the award-winning golf course. Golf course lots begin at $269,000. Condos start at $275,000 and single-family homes begin at $730,000. Send me more information about Willowbend! Sample home at Willowbend Golf Club. Send me more information about Willowbend! The golf course features five different 18-hole routings. 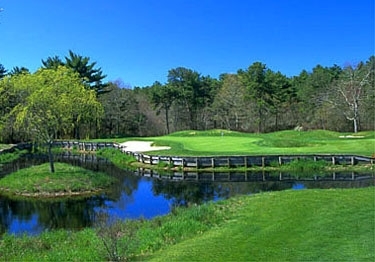 Designed by Dr. Michael Hurdzan, with a third nine by Bruce Besse, Jr.
Willowbend is just minutes away from everything Cape Cod has to offer. Pristine beaches like South Cape Beach, Loop Beach, and Old Silver Beach, are ideal for boating, sunbathing, fishing, or time with family and friends. Whether it’s a day trip to Martha’s Vineyard or whale watching in Provincetown, every town along this famous peninsula is bustling with fascinating arts and culture, fine cuisine, and unique boutiques. Send me more information about Willowbend!